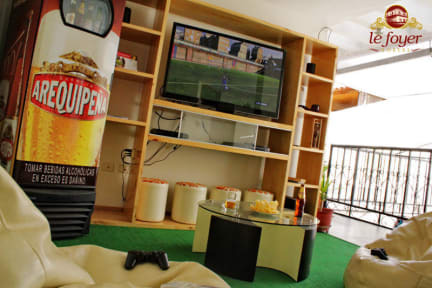 Le Foyer Hostel Arequipa i Arequipa, Peru : Boka nu! Cancellation within the week prior to arrival: No refund. Le Foyer hostel offers the best location in the city at a good price, recommended on Lonely Planet for more than 15 years and hundreds of guests vouching for us every year, recommending us and coming back. We have been hosting international travelers for over 20 years and this experience has helped us know exactly what it takes to make your stay here enjoyable. We offer spacious and light dorms-featuring 3 or 4 beds, with comfy beds and clean linen. If you need more privacy we have also single/double/twin private rooms all with private bathroom and cable TV. We serve breakfast which you can enjoy on the balcony or on the patio. We are located just two blocks away from the Main Square, in one of the most beautiful and well-known areas of down town, the San Francisco Street. We are only a few meters away from Santa Catalina Monastery, San Francisco Church, Mercaderes Street. Most museums and attractions are easily accessible by foot. 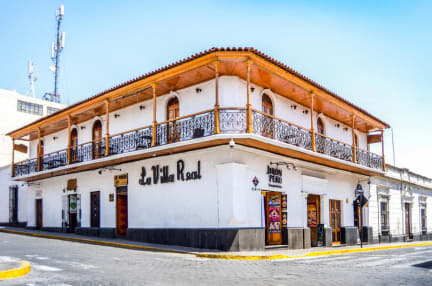 Our friendly and acknowledged staff are ready to help 24/7, they will share with you tips about when and where to go, and how best to explore Arequipa. They can help you book trips, arrange Colca Canyon Trekkings, rafting, downhill and other activities. WIFI, computer, terrace with sunbathing furniture, BBQ set, huge Plasma TV, movies, DVDs, Blu-Ray, table games, book exchange, etc.. All of those to provide you a good dose of fun and relax! Check-in is from 1 pm, if you arrive earlier you can leave your luggage in our storage and go for a stroll. If the room is ready before 1 pm there will be no problem accessing it! Best location in Arequipa! Room was ok, loud at night on weekends since close to party street. Bathroom floor dirty. Really nice breakfast served on the roof terrace. Wi-fi was great!